The Marijuana Business Reporter has named the first winners of the Medical Marijuana Honors, celebrating the top contributors to the mainstreaming of the emerging medical marijuana industry. More than 5,000 votes were cast in an online poll of the web site’s readers, who were assisted by a panel of judges to select the winners. The honors are given to the businesses, non-profits, government entities and other organizations that have made the greatest impact in the last year toward greater understanding, standards and progress in moving medical marijuana into the mainstream. Winners will be honored at a private reception in Hollywood next month. The city councilman and longtime medical marijuana activist was the first politician in Southern California to endorse The Regulate, Control and Tax Cannabis Act of 2010. “During Prohibition, the most dangerous form of underground alcohol was ‘moonshine’ that was unregulated and sometimes fatal,” Duran said. “The ‘reefer madness’ mentality of our failed criminalization of marijuana must come to an end just as prohibition did.” At a time when prominent voices are needed, he stepped out. The leader of the famed Oaksterdam neighborhood and prime mover in the Tax and Regulate Cannabis movement, Lee has a long history of medical marijuana innovation. Now, with his move to get legalization on the ballot, he’s at least created talking points for the movement and underlined that legalization is favored by a good percentage of the U.S. population. The largest national member-based organization of patients, medical professionals, scientists and concerned citizens promoting safe and legal access to cannabis for therapeutic use and research, the organization was highly active in backing down Los Angeles law authorities as they attempted to crack down on the city’s medical marijuana community. ASA has over 30,000 active members with chapters and affiliates in more than 40 states. 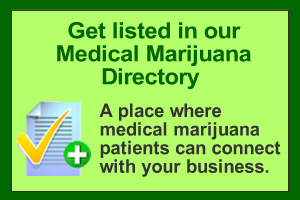 Easy-to-use website produces maps with the location of dispensaries and MD’s that give recommendations. Team has done an outstanding job in the local community sefering patients while pushing for grassroots initiatives to tax and regulate legalization. Spent the majority of his career serving as a public defender. Most recently with Northwest Defender Association in Seattle, and with the Skagit County Public Defender’s Office. Chef/owner Bobby Greig set out to elevate cannabis cooking when his elderly father was diagnosed with stomach cancer. Greig then began his journey from concerned son to chef-owner of a burgeoning edible marijuana business. A pioneer in bringing mainstream attention to the emerging medical marijuana industry.